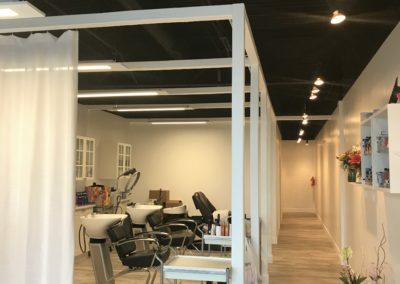 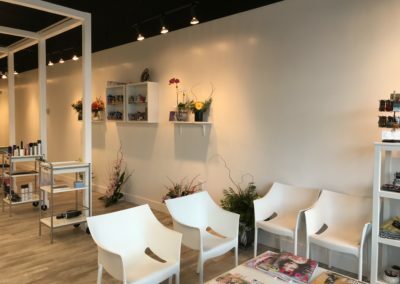 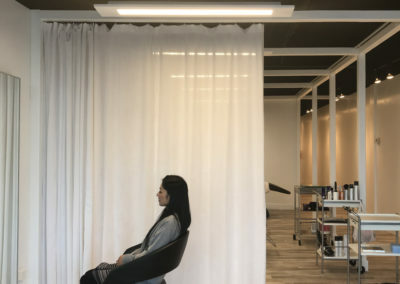 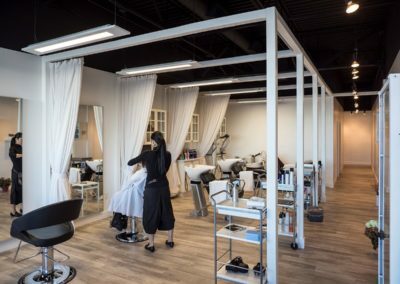 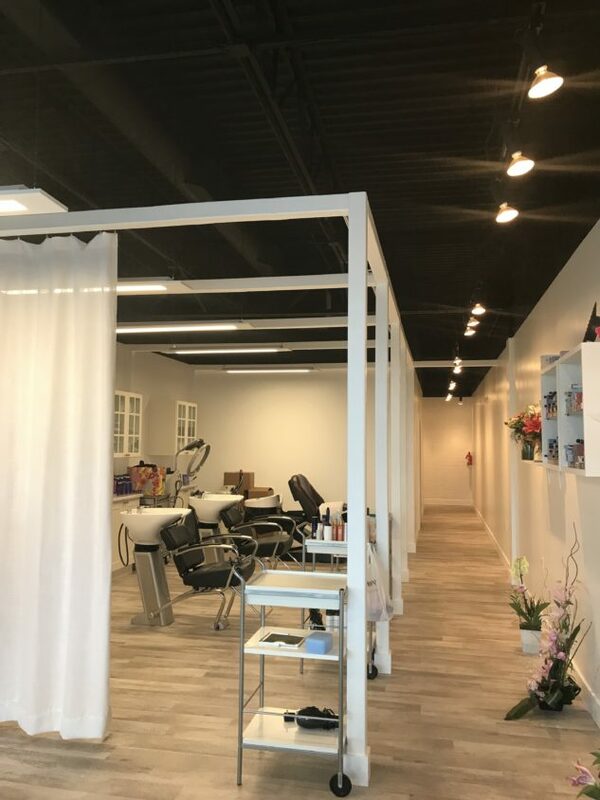 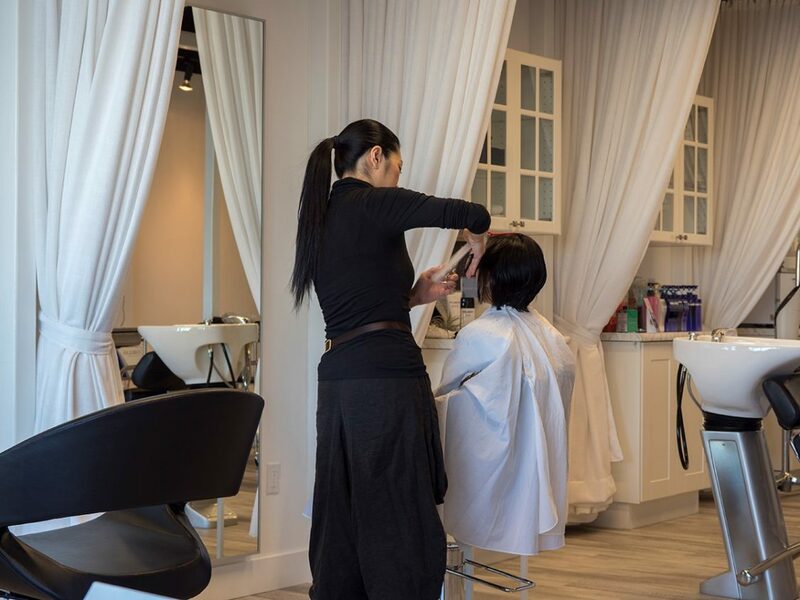 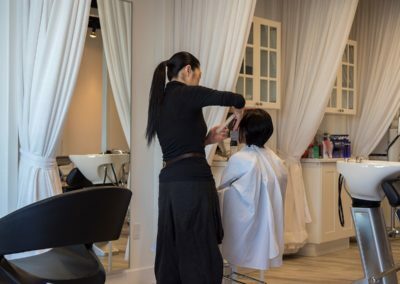 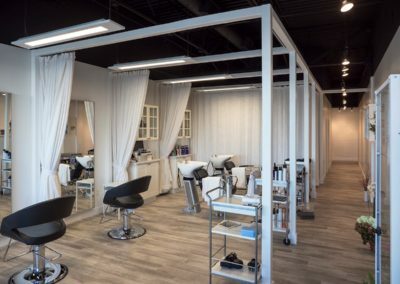 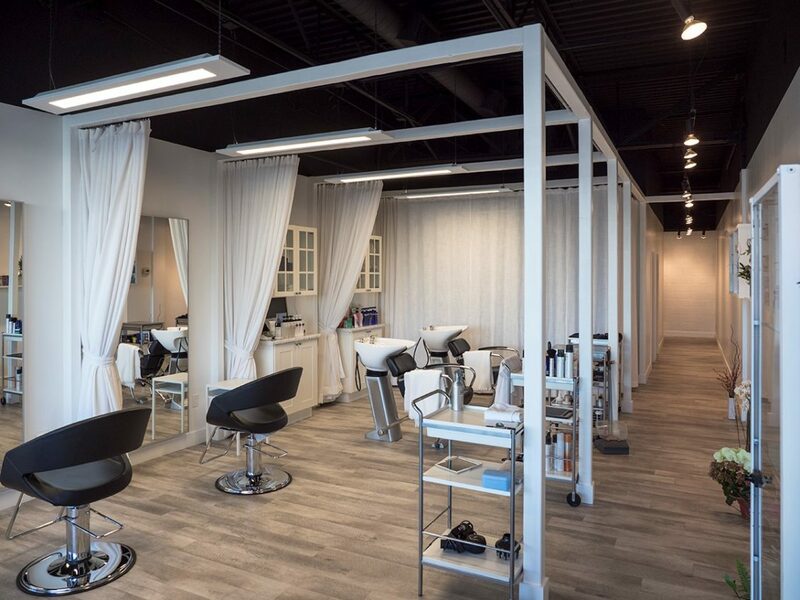 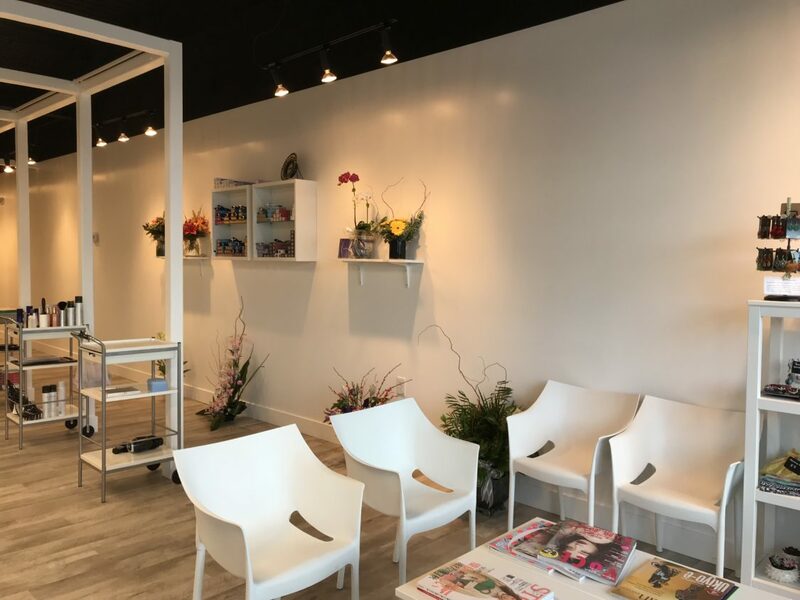 The owner wanted a simple clean space which focused on the customer and their haircare. 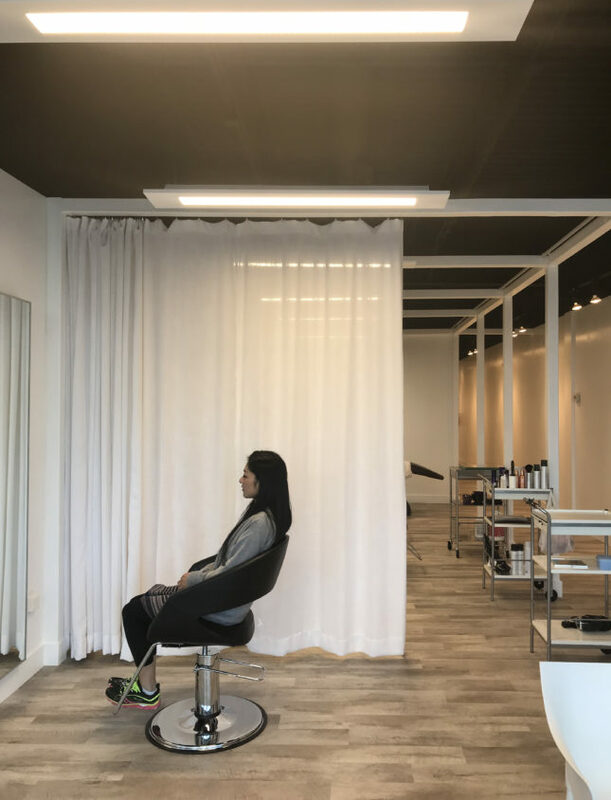 We framed the chairs around specific cubic spaces divided by sheer layers of curtains. We kept the ceiling black , this emphasizing the walls and objects such as mirrors , chairs and hair products.